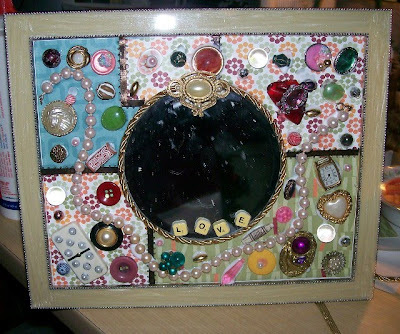 Here is a mirror I made using up some of my junk jewelry. Once the glue has dried and the mirror is cleaned up it will be done (so I say). I will end up playing with it some more and adding to it. I am a mother of four. I live in Northern Michigan and have a passion for junk. 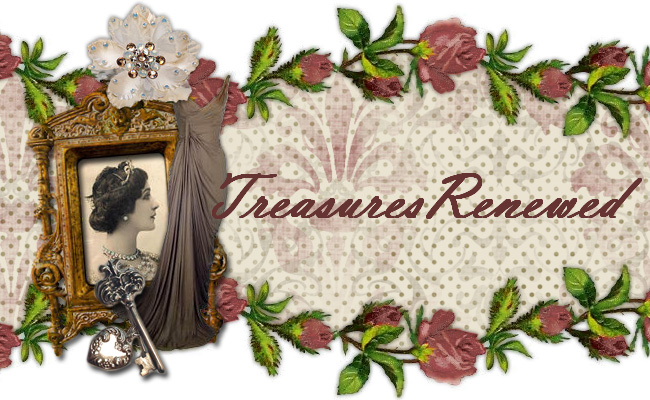 I collect junk from thrift stores, garage sales, auctions and yes even the curb.